Washington DC, April 26, 2010 — In just three days, on Wednesday, April 28, the Network for Teaching Entrepreneurship (www.NFTE.com) will host its 13th annual Dare to Dream DC Gala, which is being held from 6-10 p.m. at the Marriott Wardman Park Hotel in DC (www.daretodreamdc.org). “It is truly my pleasure to have been the chairman of the 2010 Dare to Dream DC event,” says Cynthia de Lorenzi, founder and CEO of the women’s networking group Success in the City, who notes that since 1987, NFTE has provided entrepreneurial education programs to more than 280,000 youths in 21 states and 12 countries. Julie Kantor, executive director of the Network for Teaching Entrepreneurship-Greater Washington, explains today our nation’s students are dropping out of school at an alarming rate and in epidemic numbers. Also being honored at the 2010 gala is Patty Alper of the Alper Portfolio Group and president of the Alper Family Foundation, Michael Chasen, CEO of Blackboard Inc., and the U.S. Secretary of Education Arne Duncan. The keynote speaker will be Chris Gardner, the self-made millionaire, entrepreneur, motivational speaker, and philanthropist who, during the early 1980s, struggled with homelessness while raising his toddler son, Christopher, Jr. Gardner’s book of memoirs, The Pursuit of Happyness, was published in May 2006 and later that year became an internationally acclaimed motion picture starring Will Smith. Since 1987, the Network for Teaching Entrepreneurship (www.nfte.com) has provided entrepreneurial education programs to more than 280,000 youths in 21 states and 12 countries. Its mission is to work with young people from low-income communities to show them that entrepreneurship is a pathway to prosperity. The Network for Teaching Entrepreneurship-Greater Washington is currently working with 800 students in 17 schools, and since 1994 has served more than 21,000 students in the region. For more information about the program and the annual business plan competition, contact Julie Kantor, executive director of the Network for Teaching Entrepreneurship-Greater Washington, at Julie.Kantor@nfte.com. To buy tickets for Wednesday’s Dare to Dream Gala, visit www.daretodreamdc.org. Washington DC, April 15, 2010 — Mark your calendar for April 28 when the Washington, DC office of the national nonprofit organization the Network for Teaching Entrepreneurship (www.nfte.com) hosts its annual Dare to Dream Gala at 6-10 p.m. at the Marriott Wardman Park Hotel in DC (www.daretodreamdc.org). This year’s event will honor several well-known entrepreneurs and philanthropists including Blackboard Inc. President and CEO Michael Chasen, Alper Family Foundation’s President Patty Alper, and the U.S. Secretary of Education Arne Duncan. Also being honored at the gala is Jada Nicome of Northwestern High School, who won the Network for Teaching Entrepreneurship’s 2010 Global Young Entrepreneur of the Year award for her company, K-9 Couture. 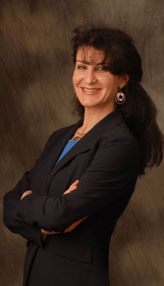 The chairwoman for the 2010 gala is Cynthia de Lorenzi, founder and president of the popular women’s networking group Success in the City (www.successinthecity.org). Gala vice chairs include Mark Ein of Venturehouse Group, Sunny Scully Alsup of LSG Inc., Bill Dean of M.C. Dean Inc., and Tien Wong of Opus Inc.
For details about the Dare to Dream Gala, and to buy tickets to the event, visit www.daretodreamdc.org. The Network for Teaching Entrepreneurship Greater Washington is currently working with 800 students in 17 schools, and since 1994 has served more than 21,000 students in the region. For more information about the program and the annual business plan competition, contact Julie Kantor, executive director of NFTE’s DC program, at Julie.Kantor@nfte.com. Hope Katz Gibbs, CEO of Inkandescent is working on a project that will honor 100 successful women who are making strides and changing lives. The women will come from dozens of industries: actors, advocates, artists, athletes, authors, aviators, chefs, curators, doctors, educators, engineers, financiers, fitness gurus, inventors, moms, musicians, politicians, religious leaders, scientists, and more. They all have one thing in common: They have a dream and have worked hard to make it come to fruition. With grace and humility, they are willing to share the secrets of their success with the rest of us. How are you amazing? Hope is on the lookout for Truly Amazing Women — and needs your help! Publicists, bosses, daughters, fathers, sons, husbands, uncles, aunts and friends — and the women themselves — are invited to submit a proposal. Hope wants to share your accomplishments with the world. Hundreds of women will be profiled on this website. Later this year, a select group of savvy gals will jury in the 100 women for the book. What she does: Angela is responsible for overseeing operations, marketing and curriculum design. She is a graduate of Gettysburg College and holds a masters degree in leadership and liberal studies from Duquesne University. What she does: Tracks and charts trends that help execs determine programming for the network’s core viewers. What she does: Owns a PR firm and as a working mom entrepreneur was inspired to create a website to help other working moms develop a sense of community. Award-winning Journalist COKIE ROBERTS was the keynote speaker at this week’s EXCELLENCE IN GOVERNMENT conference, held at the Ronald Reagan building in Washington, DC. She talked about her new book, “Ladies of Liberty: The Women Who Shaped Our Nation,” as well as President Obama’s initiative to increase public service. Further, the concept of “multitasking” is something Roberts says, “is a man’s made-up word for something women have done since the beginning of time.” She points to her own mother — former ambassador and long-time Democratic Congresswoman from Louisiana Lindy Boggs — who first took office in 1973 after the death of her husband (the late Hale Boggs, who was Majority Leader of the House of Representatives) from a plane crash. 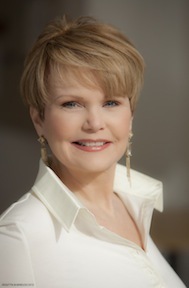 LISTEN TO COKIE ROBERTS discuss “Ladies of Liberty” on to Federal News Radio at www.federalnewsradio.com.